Patrick and Adam Riske no matter what. About damn time! Thanks, guys. Great podcast. You may be thinking of Adam's glorious Draft Day poem from the Holiday episode. I've honestly never clicked on a podcast faster. This was a delight, and I could've listened to Adam list great movies that he ranks below Draft Day for another 2 hours. Draft Day is a strange movie. It came out maybe 3 weeks after i moved to Cleveland, and hearing all these sad lifelong Browns fan whoop and hollar at innocuous Browns things was kinda surreal. Also surreal is all the cheery NFL fanfare worked into the movie, it's like a propaganda film for a sweatshop. I also enjoy what buffoons the other GMs are played for. Like Pat Healy is asking a Kevin Costner for advice, and the Seahawks GM gets pressured into terrible decisions with little effort over the phone. No wonder these teams are trash. Seeing this in Cleveland would have been a dream come true.They must have lost their sh*t when Bernie Kosar showed up at the end. Indeed, they did. Thinking about it, DD may be my favorite Cleveland set movie. A close second being Wish Upon, a movie where all the establishing shots are of Cleveland, but it's so obviously shot in Southern California. Woah Woah Woah! WISH UPON was shot in Cleveland? This city is slowly becoming my cinematic common denominator. Bugsy Malone was a movie that I really loved as a kid back in the '80s, and I was happy a couple years ago to find a British blu-ray that was region free and that the movie holds up really well. Alan Parker doesn't get enough credit for how good he is at making movie musicals (Evita isn't perfect, but it's quite good and The Commitments is a straight-up classic) and the kids in this are a delight. Completely agree that the [insert movie] vs. Draft Day segment was solid gold. Couldn't stop laughing. I enjoy Draft Day more than I probably should (helps some that the NFL draft is no-kidding my favorite weekend/sporting event of the year). 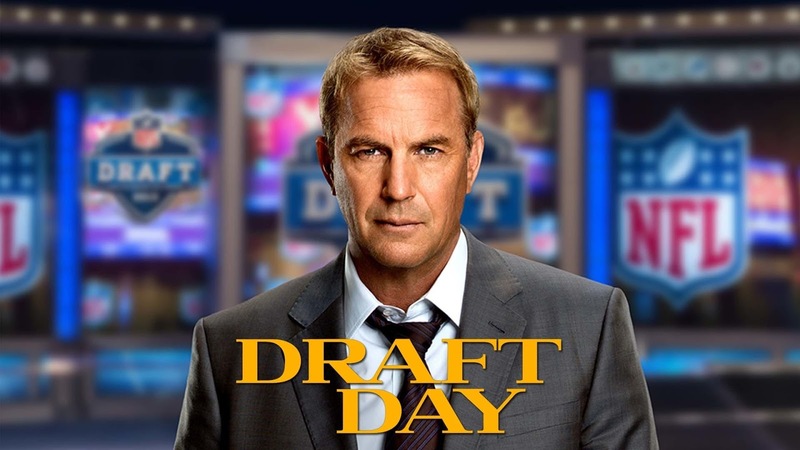 "Is it better than Draft Day" is a game you should play for every movie you cover from here on out. Adam should come on every week, even if only for ten seconds, just to answer this question. Also, there was no sports reporter, not even a local one, who knew the star linebacker had a sister with a terminal illness? But still, I was not in the mood to watch this, I felt obligated before I listened to the pod, then somehow this warmed my heart just a bit, warts and all. Also my fantasy baseball team needs an overhaul. Who's on your baseball team? I felt like you guys were almost at a natural end at one point, I checked the time and there was still almost an hour to go. I wandered how you would fill the time. Was not disappointed! I just finished watching (first time) and am about to dig into the podcast. I hope Adam and/or Patrick talk about the split screen and wipes! That was nuts. I went through 3 phases: 1) Noticing them and thinking, "They're really leaning into these", 2) Getting a bit annoyed at how many there were, and 3) being actively pleased at the abundance and variety of wipes. There was one 3 in a row with Costner overlapping the screens, and a quick up/down/across wipe (Something close to it, anyways) where I mentally fist pumped. Looking forward to the podcast!